Because there is such a large number of plants and herb known to man, there is no herbalist who is familiar with all possible varieties. Therefore it is important to realize that some are poisonous to humans, often only when used in large quantities or with other poisonous plants and herbs. There are over three hundred thousand known plant species. Pregnant women should absolutely avoid barberry root, cascara Sagrada, mugwort, juniper berries, pennyroyal, pokeroot, rue, senna, southernwood, tansy, and wormwood. Those herbs have the danger of inducing miscarriage. 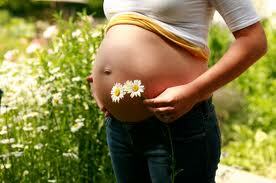 Herbs that can be safely taken during a pregnancy are Butternut Bark or Root, Flax Seed, Lemon Verbena and Slippery Elm. Pregnant women should pay attention for any unusual occurrences and contact their physician if they have questions about the safety of any medication or herb. Prior to beginning any treatment, it is important to receive a diagnosis from a doctor, and to discuss any treatment plan with a professional. In beginning a new herbal medication, it is imperative to watch for any sign of an allergic reaction. Should you begin having problems breathing, call 911 immediately. Other signs of allergic reactions should be monitored carefully. This is true even if you have never had allergic reactions to an herb or other medicines in the past. Severe allergies are not common, however they are life threatening and should never be ignored. Herbs and medicines frequently interact negatively with one another. It is important to be careful in the combining of all medications. It is suggested that a patient contact their pharmacist prior to mixing any combination of medications. One frequently overlooked drug/food interaction is with anti-depressants known as monoamine oxidase inhibitors. They do not mix well with wine, types of cheese and other food products. This also hold true for patients taking St. John's Wort. Thus, patients taking St. John's Wort should discuss the dosage and interactions with their physician. Prior to beginning any herbal treatment, it is important that the herbalist and physician and pharmacist know all of the medications and herbal treatments that you are using in order to provide the best medical solutions and treatment suggestions.